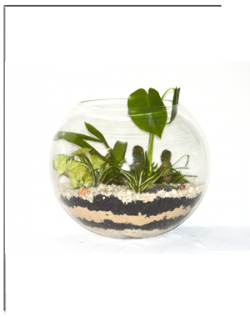 Terrariums- Assorted Indoor Plants, Succulents or Air Plantsin a slow growing medium for low maintenance. Terrariums allow moisture to be recycled for the plants. 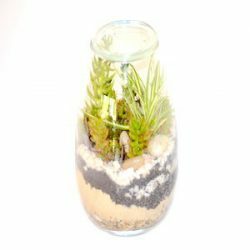 Terrariums are closed with a lid for this purpose or with some vent holes to prevent misting the glass vase. Occasional opening while watering and leaving them under shaded light areas will ensure them to continue growing happily. 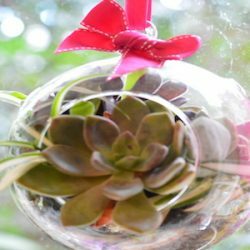 Hanging Terrariumsare delivered with a hessian or matching ribbon, ready for hanging if the recipient choose to. They adapt to most environments and require little watering and cutting back. 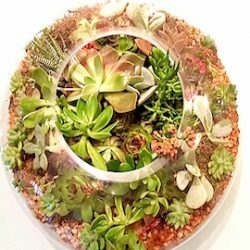 Terrariums can be enjoyed for years to come making Terrariums a long lasting gift to enjoy. Please do not hesitate to contact us if you have queries on +61 39840 7307 or Text to +61 402 240 235.